Make your Mother’s Day Weekend Plans! The Hilton Garden Inn is bringing back their delicious Mother’s Day Buffet again this year! For the third year Hilton Garden Inn will be hosting a Mother’s Day Brunch from 11 a.m. – 1 on Sunday, May 13. Items on this brunch buffet include items like a French Toast Bar and Sauced Pork Loin. The buffet cost is $18 for adults, children ages 3 – 12 are $6.99 and under three are free. Space is very limited and reservations are necessary, call 567-250-2525. Mother’s Day Brunch at Mancy’s sounds like a good plan! Have you been waiting for the perfect chance to try Mancy’s Steakhouse? Here is your chance! Mancy’s Steakhouse is offering a Mother’s Day Buffet on Mother’s Day from 10 a.m. – 3 p.m. This buffet will feature a full breakfast buffet, prime rib, and a seafood bar; the cost is $32 for adults, $12 for ages 4 – 12, and ages 3 and under are free! Call 567-271-0021 to make reservations. A long standing Mother’s Day tradition, the Tavern at the Inn is again hosting their Mother’s Day buffet! This year’s buffet is large, with some highlights including southern fried chicken, salmon, prime rib, a loaded dessert table, and special options for children. The cost is $25.99 for children, $13.95 for children 4 – 12 and children 3 and under are free! Reservations are required, call 567-250-9346. The Historic Homes Tour is a great way to spend Mother’s Day – get your tickets now! The Hancock Historical Museum’s Historic Homes Tour is a great way to spend Mother’s Day together.  showcase the beautiful historic architecture of the City of Findlay and beyond. Six homes will be highlighted on Sunday’s tour dating from 1849-1927 and featuring architectural styles from Craftsman to Italianate. Tickets are just $15 ahead of the event or $20 the day-of the event, so purchase your tickets online or at the museum today! If your mom is the type that likes to get active there are many ways to do that this Mother’s Day Weekend! The Hancock Park District is hosting two events that would be perfect on Saturday, May 12. One option would be a Self-Guided Float Trip on the Blanchard River, complete with a shuttle service. Another option is an Archery Class at Oakwoods Nature Preserve, the class ages 15 to adult will take place from 8:30 – 10 a.m. and ages 9 – 14 will take place from 10:30 – Noon so although the whole family can’t necessarily participate together, you can bond over a new skill! Another active option for Mother’s Day weekend is to hit any of our parks, whether it be playing at Fort Findlay Playground, playing tennis at Rawson Park, walking the trails at Oakwoods or Emory Adams, or enjoying Van Buren State Park for boating, fishing, or hiking! Memories are always made when you make something together. Awakening Minds Art will be having their monthly My Grown Up and Me art class on Saturday, May 12. This class is perfect for Mother’s Day weekend but plan ahead – registration is required by Thursday, May 10. The cost is $40 for two guests, and you can add additional participants for $10 each! Painters’ Pottery recently reopened in Downtown Findlay and Mother’s Day is the perfect excuse to try it out. Creating a piece of art is easy at Painters’ Pottery, you pick out your piece, what colors you’d like use, and paint your masterpiece. From there, Painters’ Pottery will fire it for you and you can pick it up later – a perfect activity for all ages. For Mother’s Day weekend Painters’ Pottery will be having special hours, they will be open Saturday, 10 a.m. – 8 p.m. and Sunday, 10 a.m. – 6 p.m.! The Bluffton Arts and Crafts Festival is a great place to pick up a last minute gift for Mom, or a great place to spend the day with her! If your mom likes the arts – whether visual or performance, you’re covered with two events taking place in Hancock County. Fort Findlay Playhouse will be putting on their final week of shows over Mother’s Day weekend for Anything Goes. Shows will take place at 8 p.m. Thursday – Saturday and a 5 p.m. show on Sunday; Tickets are on sale now! If you’re interested in purchasing an artsy gift for mom, or want to peruse different options together, then plan to attend the Bluffton Arts and Crafts Festival on Saturday, May 12! This event will feature live music, art vendors, and plenty of activities for young and old. Plus, the Farmers’ Market is taking place at the same time, so if you’re planning to cook Mom a homemade meal you can pick up some fresh and local ingredients! Glass flowers, novelty socks, handmade, high-end cookery, and more can be found on the shelves of Objects of Desire Artful Living – and all would make a great gift for Mom! A nice meal and quality time is great – but don’t forget a gift! There are plenty of options to choose the perfect gift from. Objects of Desire Artful Living is packed to the brim with the perfect gift for your mom, and with any price point in mind. From a Minimergency Kit to locally made art and anything you can think of in between. Visit The Dressing Room Boutique, Trends! on Main, Papillon Boutique, The Urban Market, or Shimmery Belle Boutique and see what accessories or outfits your mom would love. Pick up the perfect hand-stamped jewelry, Rae Dunn or Mud Pie items at RooBarb Studios to charm your mother. If you’re not sure your mom’s style but know she would love to shop in Downtown Findlay, purchase her a Downtown Gift Certificate at The Alliance, 123 E. Main Cross Street. Gift certificates can be purchased in increments of $5 and can be used at over 50 locations! Don’t wait for Mother’s Day to celebrate Mom – she deserves to be spoiled year-round. See our event calendar for events taking place each day that she would love and check out all our restaurants for a great night out!